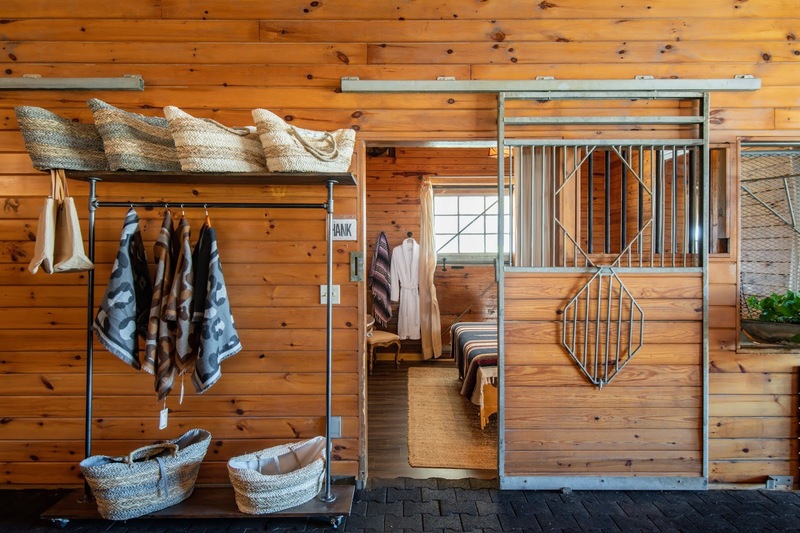 The Horse Shoe Farm was recently transformed by the Turchin Family into a luxury riverfront farm retreat set on 85 acres in the Blue Ridge Mountains of North Carolina. With a soft launch in October 2018, the Horse Shoe farm is now fully open for guests looking to experience the magic of this sanctuary. With a combination of cozy cottages and expansive manors, the property gives you the feeling of a private farm, but with five-star amenities and nuances for spiritual wellness. There are two five-bedroom and one three-bedroom luxury vacation homes, three three-bedroom cottages and one one-bedroom loft in total available for booking individually or combined. Each has its own special charm with fully equipped kitchens and outdoor space with vast views of the beautiful landscape. Rates start at $250 per night for the one-bedroom loft and go upwards in price to $2,000 a night for the Magnolia Manor, which has five-bedrooms, five-baths, and 4,800 sq. ft. of living space. 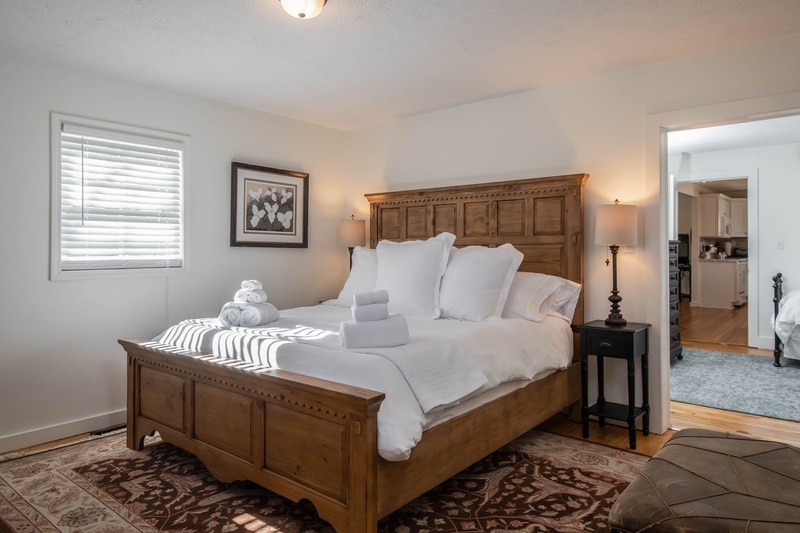 The property offers a total of 22 guestrooms and 18.5 baths and can sleep up to 50 guests, for family reunions, weddings, or corporate retreats the entire property can be rented starting at just $6,000 per night. Dogs are also welcome at the farm, with an additional fee of $150 and some restrictions apply. The property offers complimentary, make-your-own juice bar with locally sourced ingredients is available with a breakfast of breads, jams, and fruits as a nod to the Turchin family belief that starting off with fresh juice sets the tone for a happy and healthy day. Guests are urged to head to The Silo, a transformed space for contemplation, meditation, journaling, and reading or just to breathe. The walls of the space are filled with motivational messages from past visitors, where guests are invited to leave their own mark if so inclined. 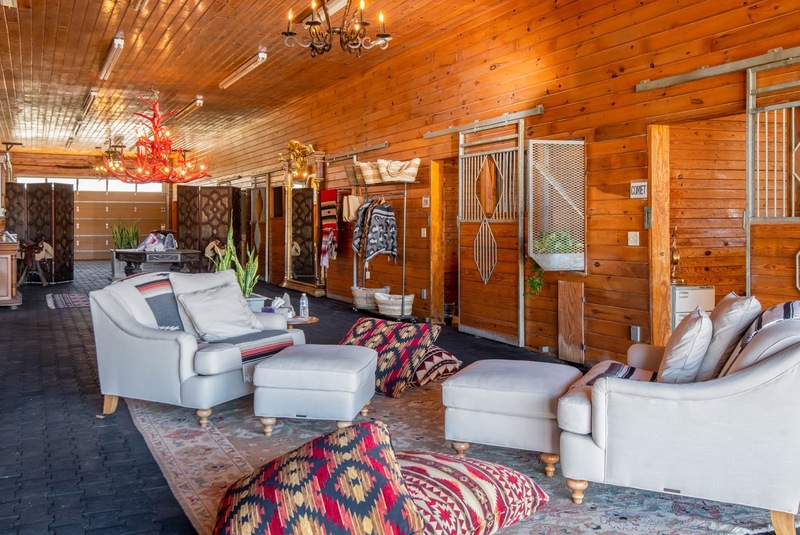 Going beyond the typical treatments, The Stable Spa offers immersive experiences such as vibration healing sessions, inner guidance sessions and sound baths that will have guests grounded in serenity. 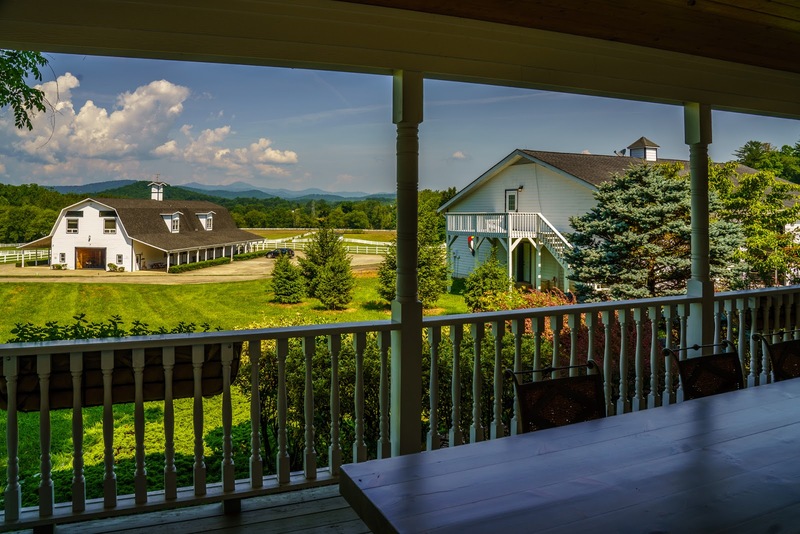 The Horse Shoe Farm is located at 155 Horse Shoe Farm Drive, Hendersonville, NC. To book please visit HERE or you can call (828) 393-3034. For more information, please visit https://www.thehorseshoefarm.com. KILZ® announced the launch of the Magnolia Home by Joanna Gaines® Exterior Paint collection. Comprised of 150 colors hand-selected by Joanna—including those currently featured in the 25-color Market Collection—the line is available in flat, satin or semi-gloss sheens, all of which combine paint and primer properties with exceptional stain-blocking performance to create a beautiful finish and protection from harsh elements. 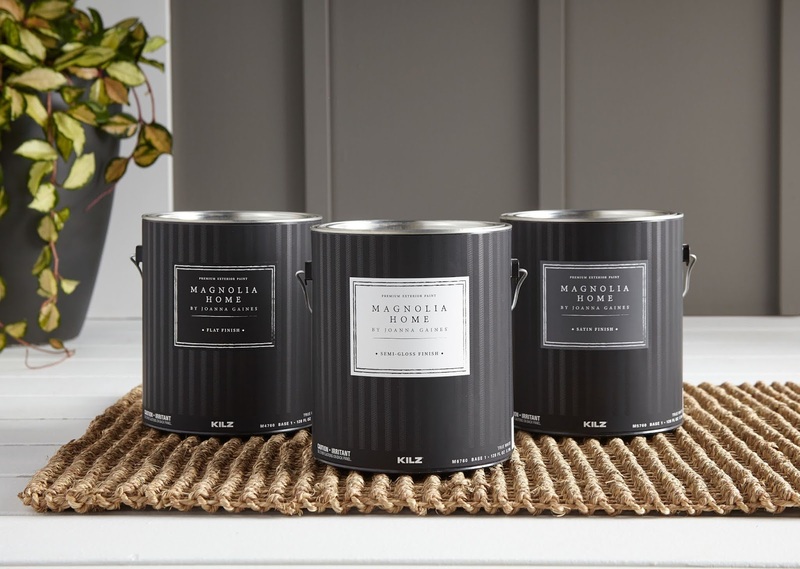 "This new collection of exterior paints was a natural addition to what the Magnolia Home paint line is all about: Simplifying what can often feel like an overwhelming decision when choosing the right paint for your home," said Joanna. "Rather than an extensive collection with too many options, I've curated a selection of timeless, quality colors to help ease the process of choosing paint—for both indoors and out." Homeowners can be confident Magnolia Home by Joanna Gaines Exterior Paint will deliver durability and ensure resistance to peeling, cracking and blistering, a promise backed by the KILZ brand. With coverage of up to 400 sq. ft. per gallon, the paint is a low VOC, low odor product that sells for $40–$50 per gallon. Magnolia Home by Joanna Gaines Exterior Paint is now available for purchase at select Ace Hardware store locations and online at AceHardware.com and Magnolia.com. For more information about the Magnolia Home by Joanna Gaines paint collection, including the new Exterior Paint line, please visit www.kilz.com/Magnolia/Paint. 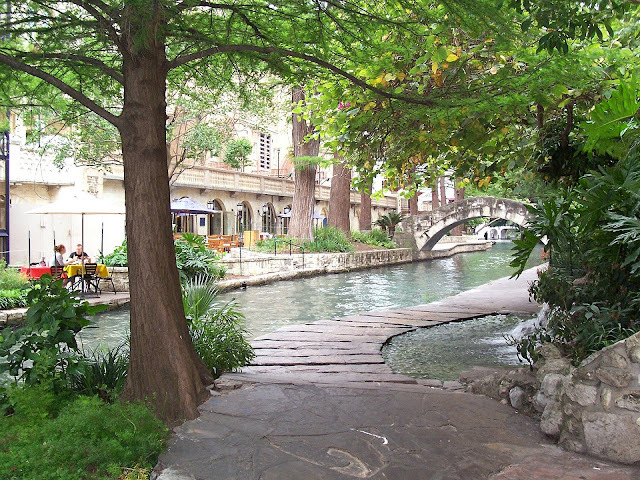 San Antonio is bursting with rich history and modern attractions. From the spectacular River Walk to thrilling theme parks, the city has activities for families with children of all ages. Combine that with an electrifying food scene, budget-friendly hotels and festive seasonal events, and family vacationers have all they need for the ultimate Spring Break getaway. Tots Love Theme ParksTheme parks aren't just for adult thrill-seekers. SeaWorld San Antonio will celebrate Sesame Street's® 50th anniversary with a Sesame Street Kids' Weekend March 2–3. Guests can join Elmo, Cookie Monster, Big Bird and friends for hands-on activities, photos and dancing. The park also will unveil Super Grover's Box Car Derby, a family-friendly coaster, based on the beloved blue character. From March 11 – 16, guests will be treated to the "Music, Mutts, Magic and More" celebration featuring musical performances, exhibitions by acrobatic dogs and feats of magic at ultra-accessible™ theme park Morgan's Wonderland. 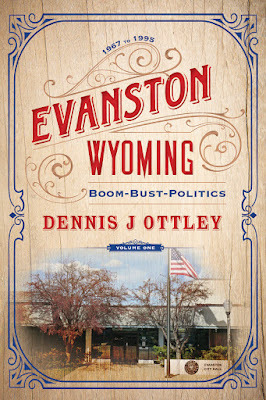 Cowboy Boots Encouraged But Not Required for Western FunThe Briscoe Western Art Museum will host its first Spring Break Ranch Roundup on March 11 from 4-8 p.m. Children's activities will include games of corn hole, creating their own brand and barrel racing in a secure area, while adults can enjoy grown-up libations and live music. Beginning March 2, visitors can take in an authentic Western rodeo every Saturday evening at Tejas Rodeo Company. The family-friendly show even has a calf scramble for the kids. Texas-style eats are available on site, and every rodeo is followed by a live country music concert. Families will explore the role of children on the Texas frontier in the 1800s at the UTSA Institute of Texan Cultures with activities including log cabin chores, map making, corn grinding and frontier games such as marbles, sack races and washers. Disguise Learning as FunFor families hoping to sneak in under-the-radar science lessons during Spring Break, the San Antonio Zoo, The DoSeum and The Witte Museum deliver. Just in time for Spring Break, one of the most endangered species in the world, Southern White Rhinos, will return to the San Antonio Zoo. These majestic creatures will live in an all-new expanded savanna habitat also home to zebras, crown cranes and waterbucks. At The DoSeum, San Antonio's museum for kids, new exhibit How People Make Things teaches children about manufacturing processes and how people and technology work together to create everyday objects. For an out of this world adventure, The Witte Museum's Planet Pioneers exhibition will show visitors how to explore, adapt and survive on a new planet. Guests can drive a 4-D surface exploration vehicle, land a rocket, experience G-forces in a spinning capsule and more. Brush Up on Gaming SkillsThe latest, state-of-the-art gaming experiences are taking San Antonio by storm, and even experienced gamers may want to brush up on their skills before taking on these immersive challenges. Six Flags Fiesta Texas' new Pirates of the Deep Sea ride pits the cunning skills of guest buccaneers against marauding pirates. Guests compete with fellow shipmates firing at hundreds of themed targets to tally a score of their victory at sea. At the all-new Andretti Karting & Games, virtual reality stunner Hologate transports multiple players to another world to take on invading aliens, and XD Dark Ride offers a multi-sensory experience where riders battle on-screen enemies while experiencing movement, sound and intense action. In Dragonfrost™ VR, Dave & Buster's exclusive virtual reality experience, players embark on a rescue mission where they must restore sunlight and summer to a frozen kingdom overtaken by the evil Ice Prince. The Beach Isn't the Only Place to Find SandMarch 8 – 15 is Sand Week at the San Antonio Botanical Garden. Master sand sculptor Ted Seibert will build an amazing sand sculpture, and sand pails and shovels will be available for guests eager to try the craft. Make Art InteractiveWho says art museums are just for quiet reflection? The San Antonio Museum of Art and the McNay Art Museum are turning up the fun this spring with all-ages activities and entertainment including selfie-stations, yoga, gallery games, floral crown making, food trucks, performances and live music. Plus, the San Antonio Museum of Art will offer complimentary admission on March 12, and the McNay will host Free Family Days March 13–15 from 2–4 p.m. For event details, please visit samuseum.org and mcnay.org. For more information on Spring Break in San Antonio, go to VisitSanAntonio.com. Take the sweet, delicious flavor of a fresh Georgia peach and blend it with our famously smooth liquid for this spring's most anticipated arrival. With warmer temperatures on the horizon, Crown Royal welcomes Crown Royal Peach Flavored Whisky, a limited-edition offering that features the brand's signature smoothness paired with the sweet and flavorful taste of juicy Georgia peaches. Whether soaking up the sun at a backyard BBQ or enjoying an impromptu Sunday brunch at the trendiest rooftop patio in town, Crown Royal Peach is an easy-sipping whisky, perfect for spending time with your friends and family. 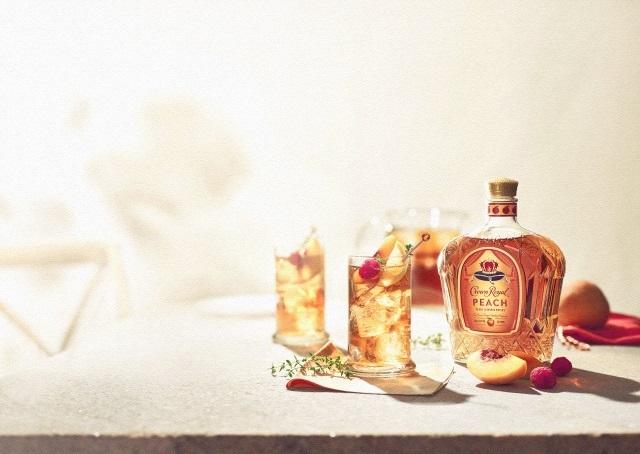 Enjoyed on the rocks or mixed with iced tea, each drop of Crown Royal Peach features a touch of vanilla and light notes of warm spice and oak on the nose that complements the whisky's delightfully juicy flavor. "As a leader in the whisky business, Crown Royal continues to take pride in ensuring we are ahead of the trends and creating high-quality products that help feed whisky drinkers' desire to experiment," says Sophie Kelly, Senior Vice President of Whisk(e)y at Diageo North America. 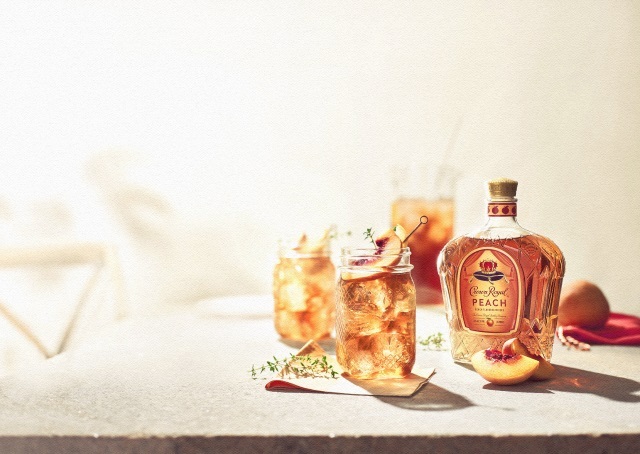 "Crown Royal Peach is the perfect limited-time offering because the taste is undeniably delicious, great for summertime occasions, on the rocks or mixed with iced tea." Dressed in a glass-cut bottle, Crown Royal Peach Flavored Whisky (70 proof, 35% Alc/Vol) includes the brand's signature box and bag. The packaging pays homage to the fruit's vibrancy with a mix of peach and creme hues, embracing the seasonal availability. The newest addition to the Crown Royal portfolio will have mouths watering nationally beginning in March at the suggested retail price of $24.99 for a 750-ml bottle. This peach-perfect season Crown Royal invites those 21+ to be present, reconnect with loved ones and always drink responsibly. Add Crown Royal Peach and orange juice to a stemless champagne glass. Top with champagne. Garnish with a mint sprig. It is summer time and that means road trips, this summer my adventures have taken me across 8 states and to some amazing destinations. While you can take a trip in just about anything, some vehicles are just better suited to the highways and byways of America, like the 2018 Mazda CX-9 that I recently took on a trip from Austin to Dallas. 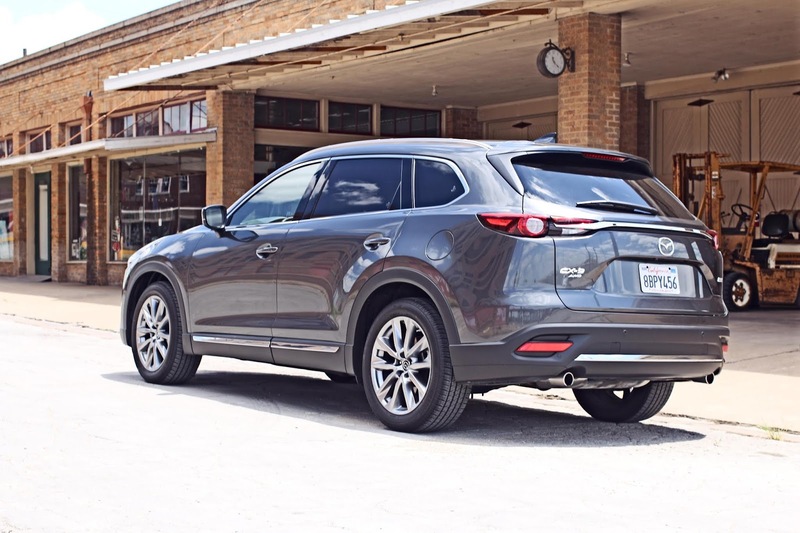 The CX-9 is Mazda's three-row crossover SUV with seating for seven the CX-9 offers a lot of versatility, but it would best be enjoyed with four total passengers and using the cargo area with the third row folded flat into the floor. Touring Premium Package that I was driving featured top-notch luxury and technology meaning this was going to be a very comfortable road trip. Heading north from Austin I took the back roads towards College Station/Bryan two cities that have grown together around the world famous Texas A&M University. 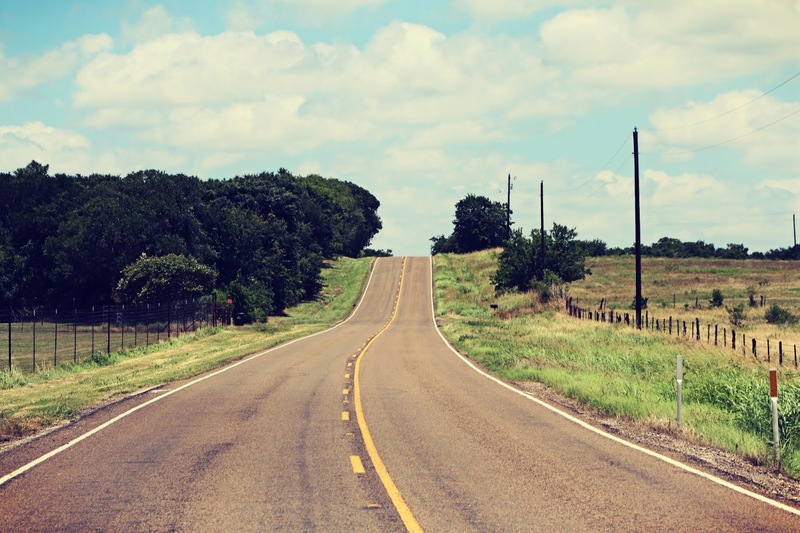 The back roads of Texas Hill Country are amazing, two-lane blacktop as far as you can see, over gently rolling hills, crossing over rivers and passing through small towns. 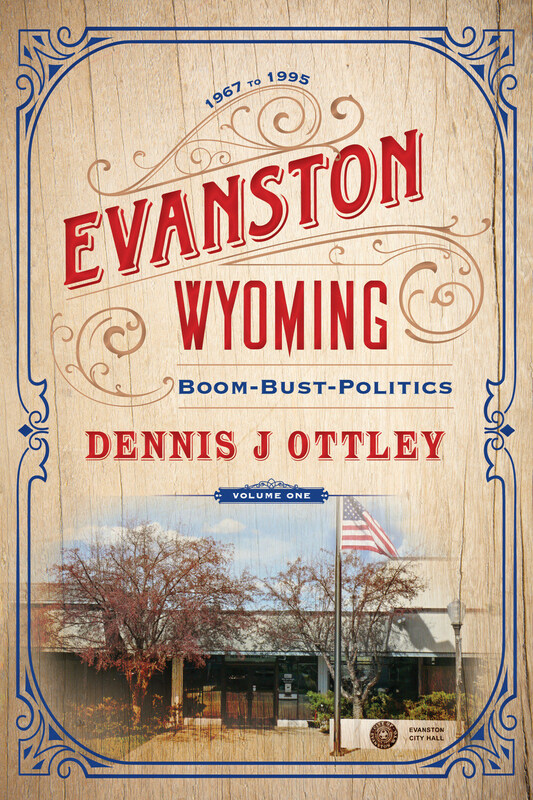 Driving along you see little bits of history everywhere, classic cars rest in fields, old train bridges from a bygone era, and cities once built during a boom that has long since faded away. 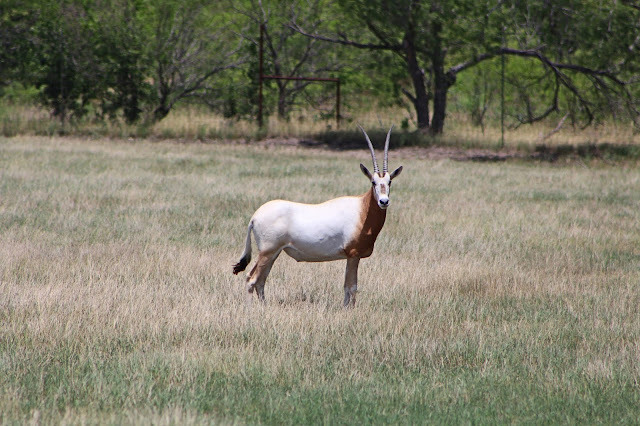 Looking out my window I see a Scimitar Oryx, an antelope from North Africa which went extinct in the wild sometime in the 1980s. But Texas has over 11,000 of these amazing antelope on ranches throughout the state. Pulling over to snap some pictures of the Orynx and other animals at the exotic ranch was a good excuse to stretch my legs a bit and walk around the CX-9. Mazda has really stepped up their style game, the proportions of the CX-9 really make it look smaller than it inside, in fact, I was surprised when I opened the back for the first time to see the third row of seats. The Texas sun is beating down and I feel myself being called to the air conditioning again. 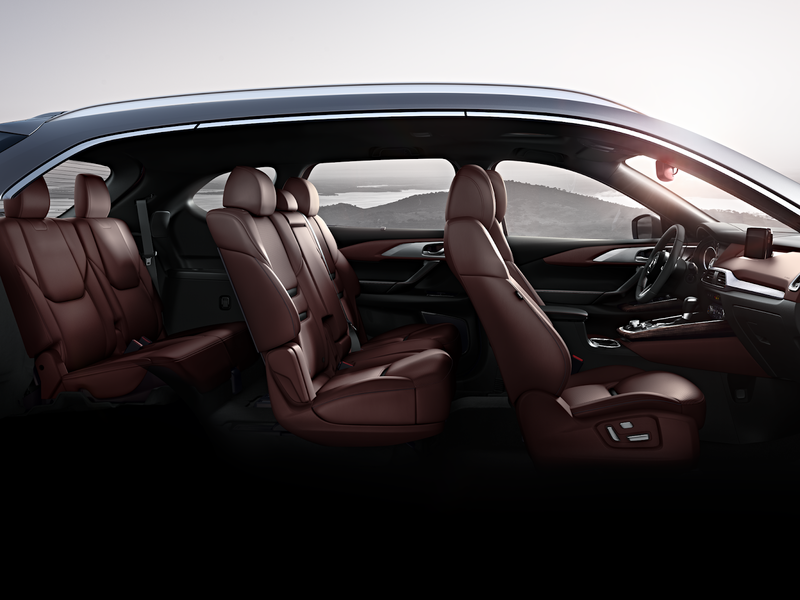 The interior of the CX-9 is a nice place to be, the two-tone leather, wood, and chrome accents are balanced nicely, the large touch screen and easy to use controls take the stress out of driving, the only thing I wish the car had in the 101-degree heat of Texas, air conditioned seats. 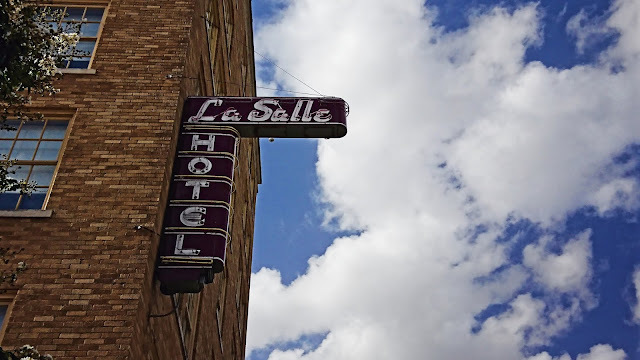 Back on the road, I am headed to my destination of downtown Bryan, Texas where I have a room reserved at the historic La Salle Hotel that is right in the center of a newly revitalized historic city center. My room was just $140 for the night, and the hotel features a great restaurant and bar, plus in the basement is an old-school speakeasy. In the last few years the city of Bryan has put in a major effort to turn around their historic downtown, today, it is a great place for both locals and tourists like me alike with destinations like the Queen Theater, the Palace outdoor performance venue, and dozens of great restaurants, bars, coffee shops and boutiques. On tonight's agenda was watching the classic Steve McQueen film Bullit on the big screen at the Queen Theater, just a short walk from my hotel, the Queen only shows classic movies and all tickets are just $5 each. There is nothing like seeing films like Bullit, Easyrider, The Searchers, or Blues Brothers on the big screen, and they don't even gouge you on the snacks. Check out the current movie schedule on their site HERE, it is a great time if you are looking for a great night out in Bryan. After a great night in downtown Bryan it was time to head up to Waco, Texas which most people know for just two things, the standoff, and HGTV's Fixer Upper. While the city is happy to be known for the show, there is a lot more going on than just what Chip and Joanna have done, even if "the Fixer Upper effect" is very real. Like all Texas towns, Waco is obsessed with their local sports teams these being the Baylor Bears. So depending on when you plan your visit, accommodations may be hard to come by, the obsession with local sports is so strong I learned that some people actually own "game day houses" in the city, that is just used a few times a year during home games. 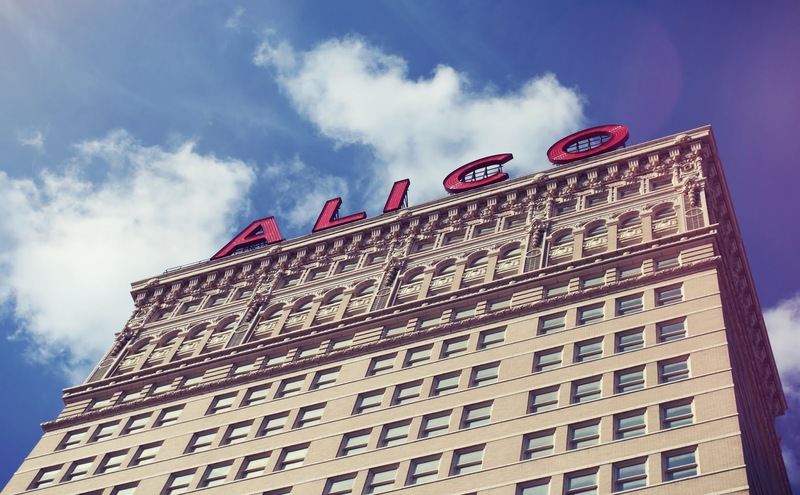 But outside of the Silos and football, you will find Waco has a lot to offer, from a great selection of restaurants and food trucks. Waco also has one of the largest urban public parks in Texas, the over four-hundred-acre Cameron Park offers amazing trails, picnic grounds, and it is even home to the city zoo. Part of the attraction of Waco is the big city conveniences, like shopping, restaurants, and even a regional airport, with small town charm and an almost Mayberry vibe. Escaping the city isn't hard, a short drive in any direction finds you once again the countryside, the winding roads, and small towns. The Waco is such a popular location it has even captured my sister and brother-in-law, who recently relocated to Waco from California. They love it for all the same reasons everyone else does, people are friendly, there are plenty of activities and events if you want to stay busy and active, and if you don't plenty of open space and quiet to enjoy a lazy afternoon relaxing. I finish up my time in Waco and head east for a short diversion before driving a few hours north to Dallas/Fort Worth Airport to fly back to California. I head out to Groesbeck about 40 miles east of Waco, to meet with a contractor who is giving me a bid on my own little bit of Texas. My building which should be underway soon will be my own little escape from the hustle and bustle. 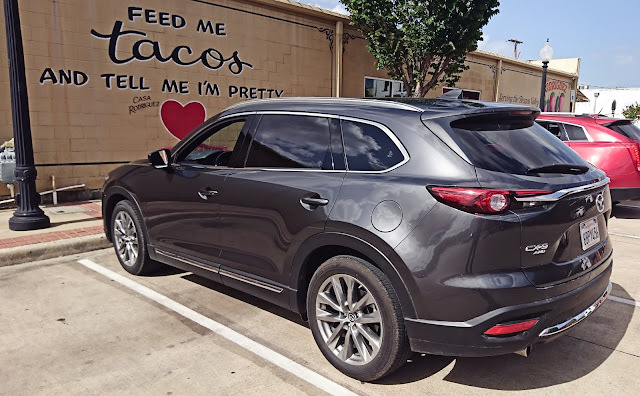 As I pull into my new hometown the locals have already gotten used to me, driving different cars and trucks, but the Mazda draws a lot of attention. One lady asked if it was an Audi or a Mercedes when I said Mazda she says "That's a Japanese car, right?" I assure her it is Japanese and it is as nice as anything the Germans have to offer, just a better value. The contractor arrives and we go over some of the ideas on what we can do with the new live/work space. Before I have to hit the road and head to Dallas. 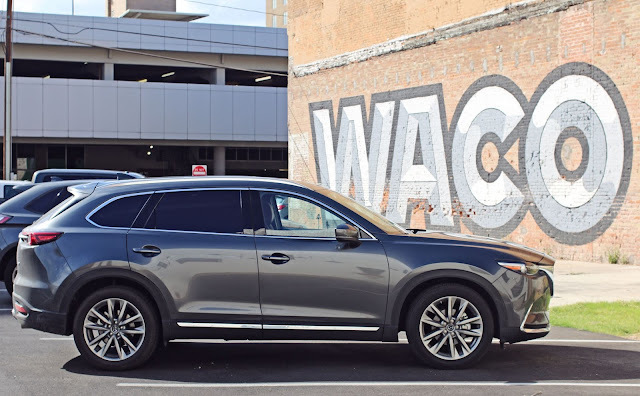 The drive up to Dallas goes smoothly, the Mazda CX-9 is great for around town, but is perfect on the highway, with adaptive cruise control, lane departure warning, and a heads-up display that not only shows you your directions, but also the posted speed limit which, when you are driving on California plates in Texas, is a good thing to be aware of. 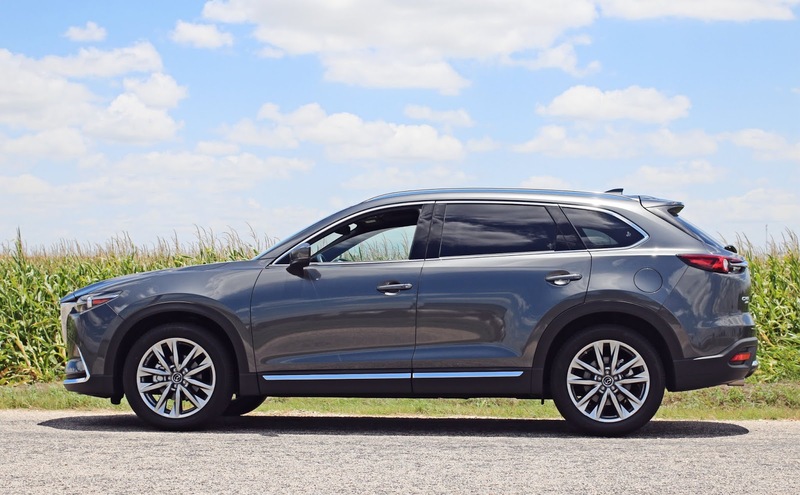 Overall I have to say the CX-9 is a lot of car for the money, starting at just over $32,000 and topping at around $48,000 it has a lot of technology, impressive fit and finish, and for an SUV is still dynamic and fun to drive. Compared to other SUV's in the segment, the Mazda is by far the most car-like when it comes to handling and driving comfort. Over the week I put the Mazda to the test, it was my road trip warrior, date night ride, family dinner shuttle, and daily driver. 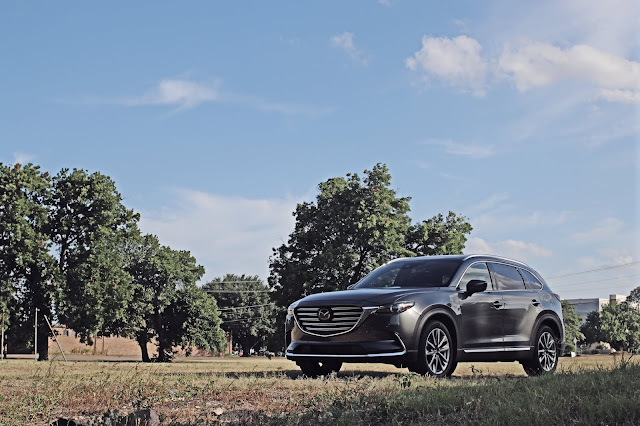 I have to say that Mazda has hit this one out of the park, if a 7-passenger SUV is on your list and you don't need true 4X4 offroad capability, you need to do yourself a favor and check out the new CX-9, from style and comfort to performance and functionality it's hard to beat. 1MSRP does not include $940 for destination and delivery ($985 in Alaska) or additional taxes or fees. Dealers set actual sale prices. 2IIHS Top Safety Pick+ designation applies to 2017 models manufactured after December 1, 2016. 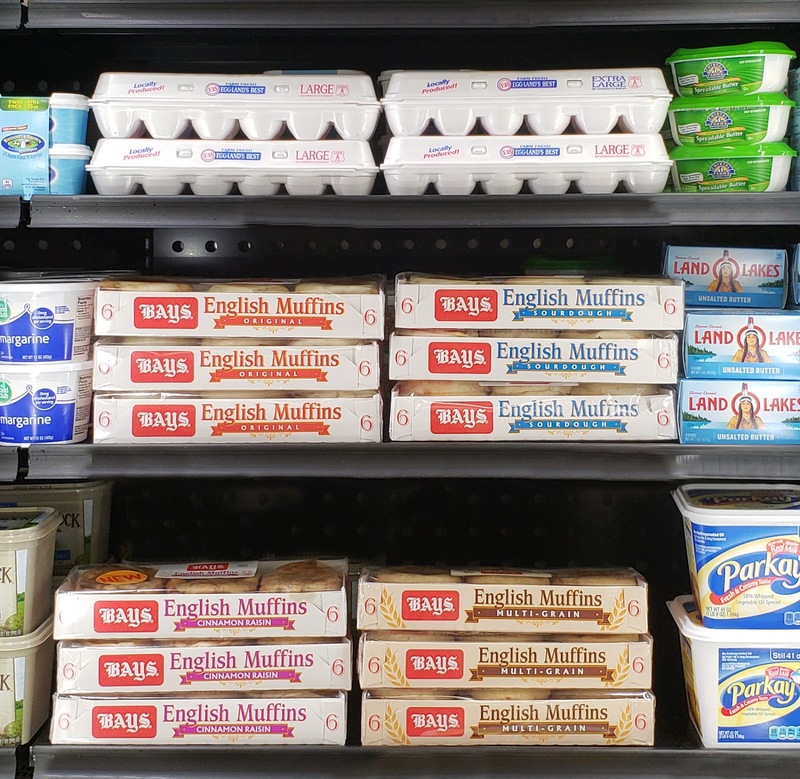 This is a sponsored blog; while the views expressed here were genuinely mine, consideration was paid to me by Bays English Muffins to review this product. As the weather starts to get colder, staying in and cooking at home becomes more appealing. As much as I love going out, sometimes, just hanging out in the kitchen and cooking together can be one of the best date nights. 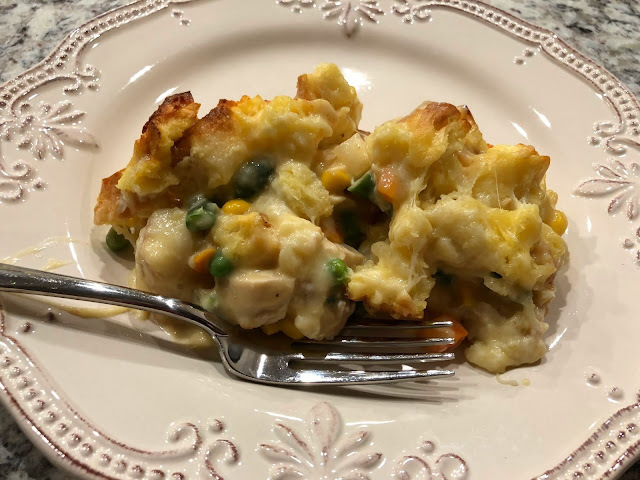 So on a cold rainy night here in Central Texas, my girlfriend and I decided to cook a down-home classic, chicken pot pie. When it comes to comfort food, pot pie is at the top of my list. What is better than chicken, bacon, cheese, veggies, and a crispy crust on a cold night? One of the best parts about this recipe is that it saves a lot of time by using Bays English Muffins instead of a traditional pie crust. 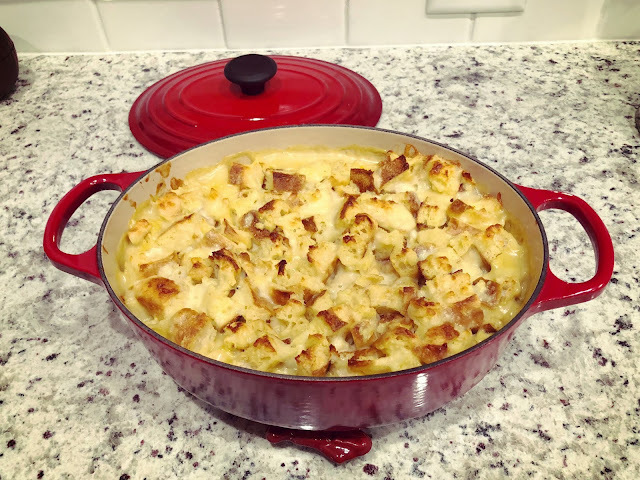 Since the rest of the items required for this recipe can be picked up at any grocer, this is a simple recipe anyone can make. To save time I picked up pre-cooked chicken. With a little prep, this entire dish can be prepared in about 30 minutes. When at the store, remember that Bays English Muffins are in the refrigerated section next to the butter and eggs. Heat a 12-inch nonstick skillet over medium-high. Add the bacon and cook, stirring occasionally, until crisp, about 7 to 8 minutes. Transfer the bacon with a slotted spoon to a plate covered with a paper towel; drain. Pour off all but 2 tablespoons of the bacon fat and return skillet to the stove. Add the onion and sauté until slightly softened 3 to 4 minutes. Stir in the mixed vegetables; sauté until hot, 3-4 minutes. Stir in the soup and remaining 1 cup milk; bring to a boil and cook 1 minute. Remove from the heat and stir in the reserved bacon and chicken. Transfer the mixture to the prepared baking dish. Top the filling evenly with the muffin mixture. Bake until the topping is golden brown and the filling is bubbly about 20 minutes. Remove from the oven and let cool 5 minutes before serving.